I'm trying to execute some PHP code on a project (using Dreamweaver) but the code isn't being run. When I check the source code, the PHP code appears as HTML tags (I can see it in the source code). Apache is running properly (I'm working with XAMPP), the PHP pages are being opened properly but the PHP code isn't being executed. Does someone have a suggestion about what is happening? Make sure that PHP is installed and running correctly. This may sound silly, but you never know. An easy way to check is to run php -v from a command line and see if returns version information or any errors. Make sure that the PHP module is listed and uncommented inside of your Apache's httpd.conf This should be something like LoadModule php5_module "c:/php/php5apache2_2.dll" in the file. Search for LoadModule php, and make sure that there is no comment (;) in front of it. Make sure that Apache's httpd.conf file has the PHP MIME type in it. This should be something like AddType application/x-httpd-php .php. This tells Apache to run .php files as PHP. Search for AddType, and then make sure there is an entry for PHP, and that it is uncommented. Make sure your file has the .php extension on it, or whichever extension specified in the MIME definition in point #3, otherwise it will not be executed as PHP. Make sure you are not using short tags in the PHP file (<? ), these are not enabled on all servers by default and their use is discouraged. Use <?php instead (or enable short tags in your php.ini with short_open_tag=On if you have code that relies on them). And lastly check the PHP manual for further setup tips. I added it back in and php was parsing php files correctly. I found another problem causing this issue and already solved it. I accidentally saved my script in UTF-16 encoding. It seems that PHP5 can't recognize <?php tag in 16 bit encoding by default. You're just opening your php file into browser. You have to open it using localhost url. if you open a file directly from your directory it will not execute the php code in any case. Enable php short code. In your case, you are using <? which is php short code for <?php. By default php short codes are disabled. Also use: sudo apt-get install php5 libapache2-mod-php5 php5-mcrypt if you are a ubuntu user. I know it should sound silly... but seldom it happens. it answer with the code (it means php functions).. The webserver was now parsing the php. Maybe now got to update some webs since php7.0 now running where as it was before running php5. Oh well. I've solved this by uninstalling XAMPP, and installing WAMP. Thanks for the help. 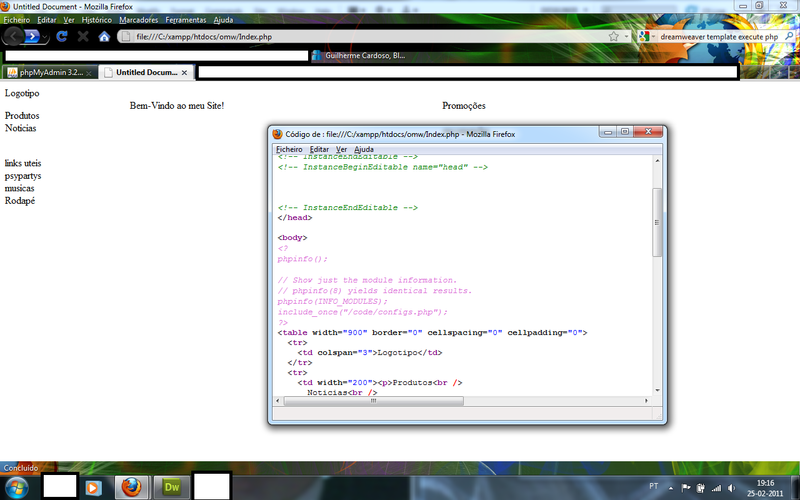 index.html contained PHP code. By default, PHP won't process files with extentions like htm* as PHP code. For fresh setup of LAMP running php 7 edit the file /etc/httpd/conf/httpd.conf Note: make sure to make backup for it before changing anything. Install all relevant php packages, especially php-devel on your machine. I think the problem that it is showing code instead of the result is that it is not going to local host . recheck what address u r going in. are u going to a local file directory or to the local host. from the screenshot u sent it is going to ur computer not to the localhost. "file:/// " it should be "localhost/"
Reinstalling the mcrypt module worked for me. Bottom line check the .htaccess file on root. before the code that should be executed. There should be no space between <? and php in this. Just spent hours of trying to get PHP 5 to run with Apache 2.4 on Windows 10. Finally for me it was a typo in httpd.conf LoadModule. Drew attention to writing and exact module path through the last answer in this apachelounge thread of denny2018. Thank you! Currently php manual shows up c:/php/php5apache2.dll which of course needs to be adjusted. why are my php files showing as plain text? PHP Code showing and not executing?